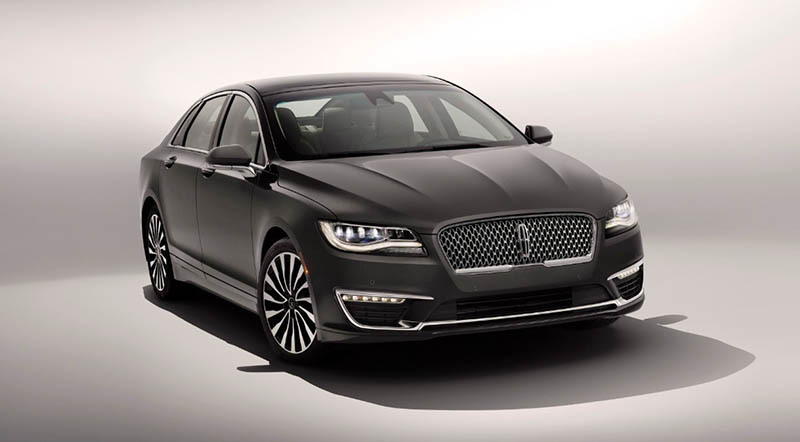 Lincoln Motor Company has launched its latest 2017 Lincoln MKZ luxury sedan wearing a price tag of $43,575, including the $925 destination charges. Powered by a 3.0L twin-turbocharged V6 engine, the 2017 Lincoln MKZ generates up to 400 horsepower and 400 lb-ft (542 Nm), making it the most powerful car built by Lincoln. If you are not a speed enthusiast, then opt for the 2.0-litre four-cylinder EcoBoost engine that produces 245 horsepower or the mid-range 3.0L twin-turbo V6 engine that churns out 350 horsepower and 400 lb-ft (542 Nm) of torque. Lincoln also has a special ‘Driver’s Package’ in store for its customers which will upgrade your MKZ with the Ford Focus RS’s torque-vectoring rear differential, improving the performance and handling of the car. Comparing the 2017 Lincoln MKZ to rivals such as 2016 Lexus GS 350 which is priced at $50,950 and BMW 535i which starts at $55,850, the MKZ is not only cheaper but also packs a much powerful powertrain.